Millennials have already changed a number of industries, and now they are having a profound impact on the real estate industry. A couple of decades ago, most buyers turned to the real estate section of their local newspaper or even picked up the telephone to initiate the process of finding a home. Today that has completely changed, as newspapers have been replaced by laptops and telephones have been replaced by mobile apps. Virtual-touring capabilities have virtually eliminated the need for an agent to show a prospective buyer a home in person. Furthermore, most communication between clients and agents now takes place via texts, more often than not. The reality is that an entirely new generation of home buyers has entered the scene and they are having a profound impact on the real estate industry. Real estate professionals who hope to keep up and remain relevant without losing out to the competition will need to pay attention to the desires of Millennials. Ultimately, a successful home buying experience for both agents and clients comes down to delivering an experience that is both friendly and efficient, combined with a quality product. The only difference today is how real estate professionals go about delivering that product and experience. A range of new tech tools and services is making that possible. Among the most popular trends now common among Millennials is for the home buying process to begin online. The vast number of home buyers are not only now beginning their search for their next new home online, but this trend is particularly dominant among people in the Millennial demographic. Even more interesting is the fact that many prospective buyers in this age group will begin virtual tours of homes months before they ever schedule an appointment to see a home in person. To remain competitive, real estate professionals will now need to ensure that they offer virtual tours for every property listing. Mobile marketing is also becoming increasingly important when reaching out to Millennials. In addition to searching for a home online, more Millennials are also now using their mobile devices to conduct those searches. What this means for real estate professionals is that mobile-friendly websites and listings are now a must. One of the biggest questions surrounding the march of technology into the real estate industry is whether agents are even still necessary. While it is true that Millennials are now handling more on their own in terms of finding and touring properties online, that does not mean that agents have become irrelevant. Even tech-savvy buyers still need expert guidance and help throughout the process of finding and closing on a home. The bottom line is that Millennials have definite ideas regarding what they want in the home buying process, and are not willing to settle for less. 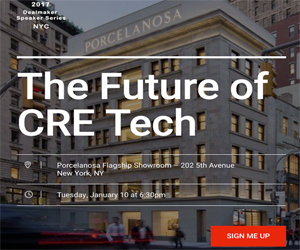 Real estate professionals who are able to meet the tech-driven demands of Millennials will have the opportunity to edge out the competition.